The Hammam at Anantara Spa. The first and only luxury pool villa resort among Salalah hotels in Oman, Al Baleed Resort Salalah is nestled between a private beach and freshwater lagoon, overlooking the Arabian Sea. The sophisticated beachfront resort offers some of the best cuisine in town, and features a new three-tiered wellness program for guests to enjoy as well. Why You’ll Love It: The Anantara Spa brand is renowned worldwide for its unique and luxurious experiences, so it’s a that name our guests recognize and trust. For us, it’s taking that philosophy based on the ancient healing traditions of the East, and balancing it with rituals of the Middle East and indigenous ingredients that guests love about our spa. The spa has the only luxury hammam in the area. Key Features: We have the only luxury hammam in the area, along with five luxurious treatment rooms including a couples’ treatment room. We have a traditional Thai massage suite and offer Ayurveda treatments. We also have a fantastic rasul steam room in which we use aromatherapy and light to stimulate the mind and spirit. Separate male and female areas feature changing rooms, indoor and outdoor tea pavilion relaxation areas, and experience showers. We also offer a truly bespoke wellness program in which guests can choose three, five or seven-day retreats. All therapies/treatments, activities, and food are selected upon arrival after consultation. We have a great menu of fuel-packed, delicious cuisine. Best of all, guests can enjoy treatments, activities, and meals in the privacy of their own pool villa as the resort has 88 private pool villas. Snacks Served: After treatments, we serve guests figs and dates, along with hot ginger tea. Again, healthy and natural to assist with eliminating toxins and improving digestive function. Insider Tip: My top tip for general wellbeing is to drink plenty of water. I always recommend infused water. There are so many great recipes out there to make a healthy infused water that can help rid your body of toxins, improve digestive health, mood, and complexion, as well as boost energy and even aid in weight loss. Plus, the right combination of fruits and herbs infused in the water won’t add calories, but will add great flavor so that you want to drink even more water. The Coconut Indulgence is one of the spa’s most popular treatments. Bonus: We always invite guests to arrive early for a consultation if they wish. Each guest is welcomed with a cool towel of purifying white tea essence along with a detoxifying drink of cinnamon and ginger. Guests are offered a shower experience and steam before and after treatments. Unique Treatment: Our most unique treatment would be our Frankincense Ritual, which is a 90-minute treatment featuring four-hand synchronised massage techniques in a complete rebalancing sequence for the face and body. It’s enhanced with the use of frankincense oil from Salalah, which is known as the perfume capital of Arabia. Frankincense is a type of resin obtained from the Boswellia sacra, a tree that thrives in the semi-arid mountainous regions around Salalah. In fact, throughout the years, it has been said that Salalah has produced the highest quality frankincense in the world. Frankincense oil has a sweet, woody scent that’s relaxing. It has antibacterial and anti-inflammatory benefits, and is commonly used in skin care and beauty care products to strengthen and improve skin health. The fact that it’s indigenous to Salalah makes the treatment quite unique to our spa. 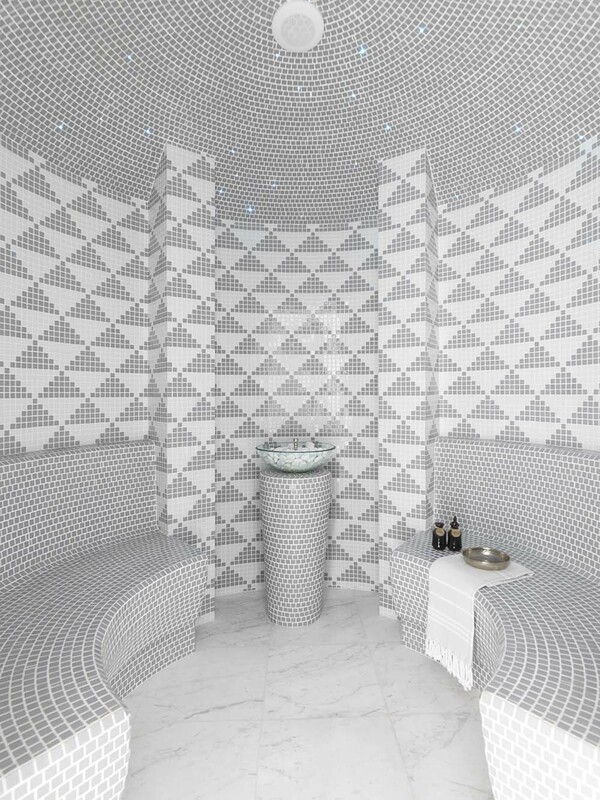 Splurge Treatment: As I mentioned, we have the only luxury hammam in the area and our splurge treatment would probably be our 120-minute Royal Moroccan Hammam Experience. It really is derived from treatments done throughout time for royalty. Guests leave feeling completely rejuvenated and squeaky-clean. The experience begins with a private steam bath followed by black soap exfoliation with a traditional kese glove. It nourishes the skin while also gently scrubbing away impurities. 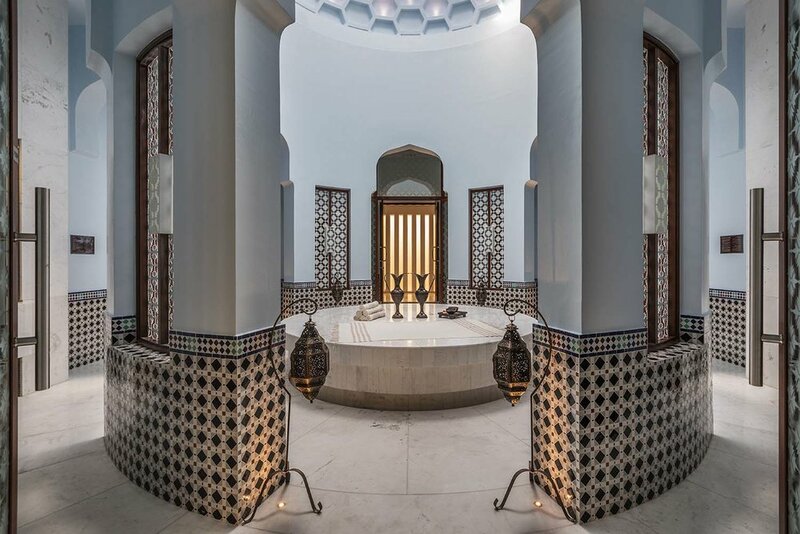 After a relaxing shower, the guest receives a full-body rhassoul mask along with face cleansing and a leave-on hair treatment with Argan oil before stepping into the steam room. After another shower, the guest relaxes in the Jacuzzi followed by the application of Desert Sand Body Polish, which rehydrates and soothes the skin with fine-grained desert sand blended with sea salt infused in Argan oil. If you really want to splurge, then extend the bliss with a 30-minute massage with body milk. Insider’s Favorite: I really enjoy incorporating indigenous ingredients into our treatments. In addition to frankincense, Salalah is thriving with coconut and banana plantations from which we derived our Coconut and Banana Leaf Wrap Treatment. It begins with an anti-aging and rejuvenating body scrub. 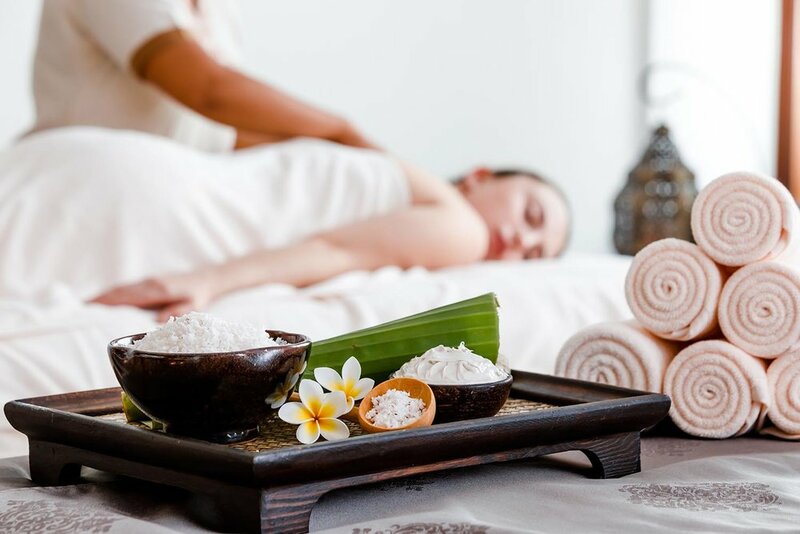 The guest is then wrapped in warm banana leaves, which helps detoxify and energize, followed by a relaxing massage with warm coconut oil to fully nourish the skin. It’s a really special natural treatment that helps guests feel renewed. A guest enjoys the Frankincense Ritual. 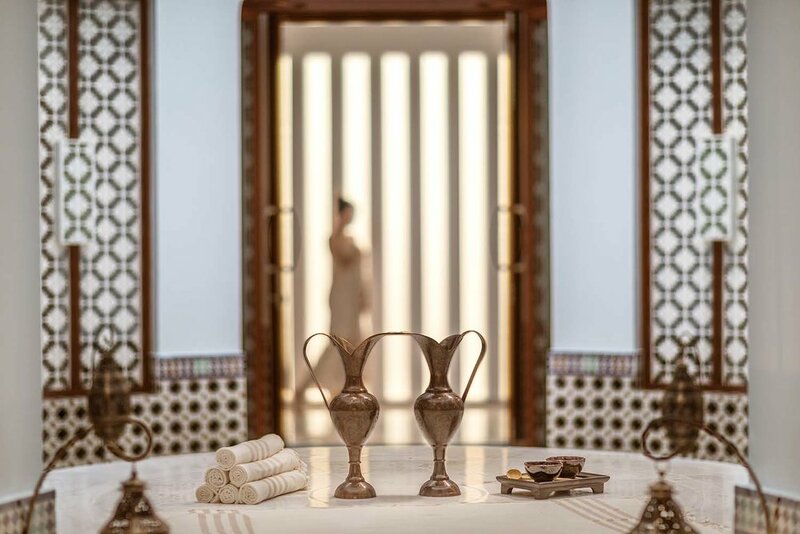 Featured Products: We offer the most amazing brands, such as Elemis and Les Sens de Marrakech, to help our guests establish their own wellness routines at home. We also offer jewelry and other items from Phemke, which is a high-end sustainable resort wear brand ethically sourced from around the world. The items are gorgeous and all handmade from organic materials.